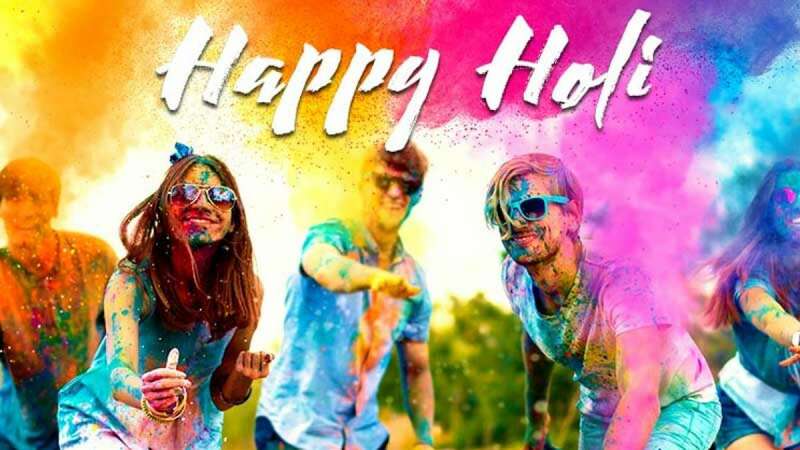 New Delhi : Happy Holi 2019 Wishes: One of the most anticipated festivals in India - Holi is here. The two-day festival is celebrated with much aplomb and fervour. 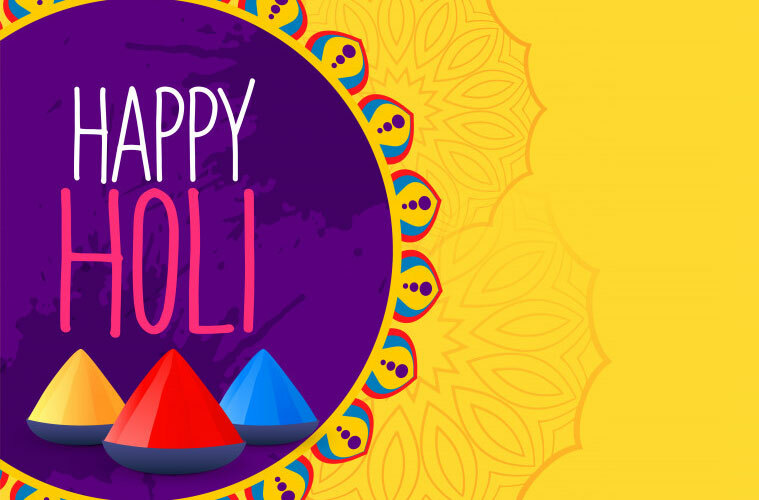 It is the festival of colour, laughter and music and as we gear up to celebrate the day, here are some wishes you can share with your friends and family members. # May God shower his blessings on you on the auspicious occasion of Holi. # Wishing you good health and prosperity this Holi. # Have a happy and safe Holi. # May this Holi be the beginning of everything nice and prosperous. 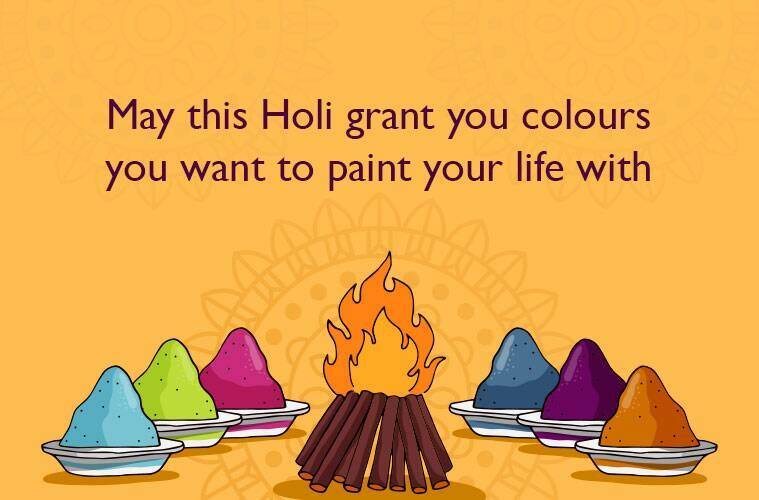 # Wishing you and your family a fabulous Holi. # May the festival of colour bring happiness and excitement in your life. # Have a happy and safe Holi! 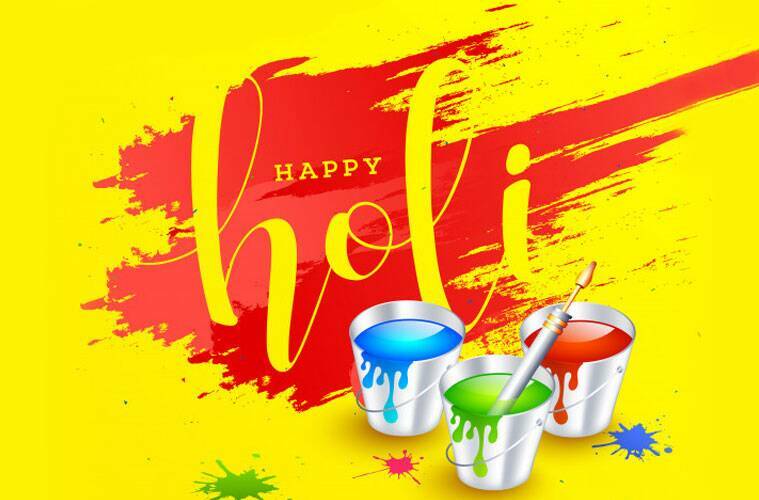 # "Gul Ne Gulshan Se Gulfam Bheja Hai, Sitaro Ne Asman Se Salaam Bheja Hai, Mubaraq Ho Aapko Ye Holi Ka Tyohar, Humne Teh Dil Se Yeh Paigam Bheja Hai Happy Holi..
# Daru Ki Khushbu, Beer Ki Mithas; Ganje Ki Roti, Charas Ka Saag; Bhaang Ke Pakode, Afeem Ka Pyaar; Mubarak Ho Aapko 2 Din Pehle Holi Ka Tyohaar! # Rang barse bhige chunar wali, rang barse o rang barse bhige chunar wali.. rang barse, are rang barse bhige chunar wali..re! Ab ghar jao nahi to jukham lag jayega. # Aapne dil ka haal batana chod diya, humne bhi gehrai mein jaana chod diya. Holi se pehle hi aapne nahana chod diya? # Holi is the day to strengthen the bond of friendship and add more colors to it. Enjoy the festival to its fullest! Happy Holi! # Every day needs to be colorful but seldom is it. So, stock yourself for a whole year! Happy Holi! # Hope God paints the canvas of your life with beautiful colors. 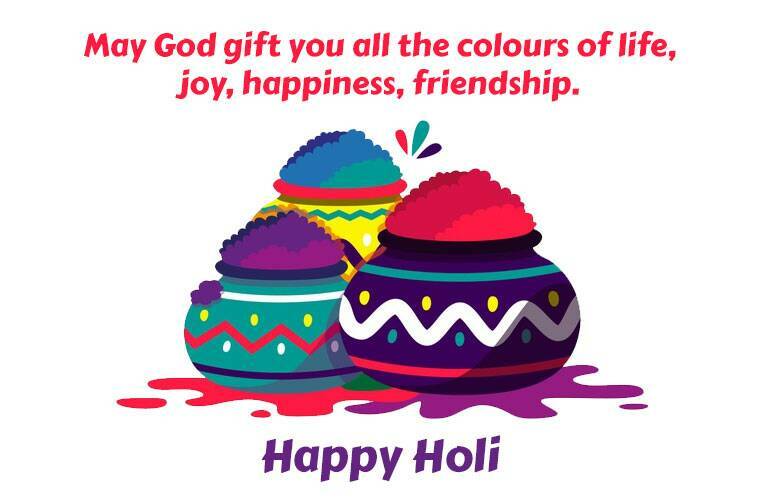 Happy Holi to you and Family!! # It’s Holi!! It is time to smear your dear ones with Gulaal, and enjoy the playful exchange of water and wish them. # Colors bring so much joy! 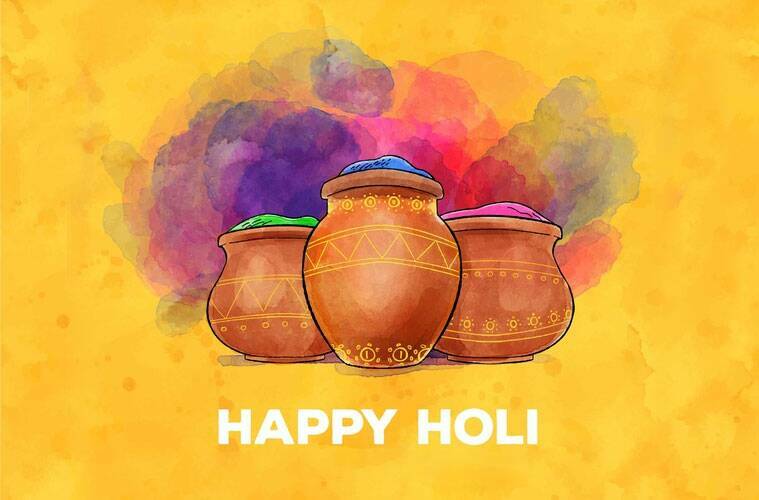 May the cheer of colors always remain in your life! Happy Holi! # Don’t forget to share the gujiya and thandai! Dance, sing and be merry! The festival of colors is here! Happy Holi! # Rang barse, bahaar barse, Aapke jeewan mein khushiyon ki fuhaar barse!